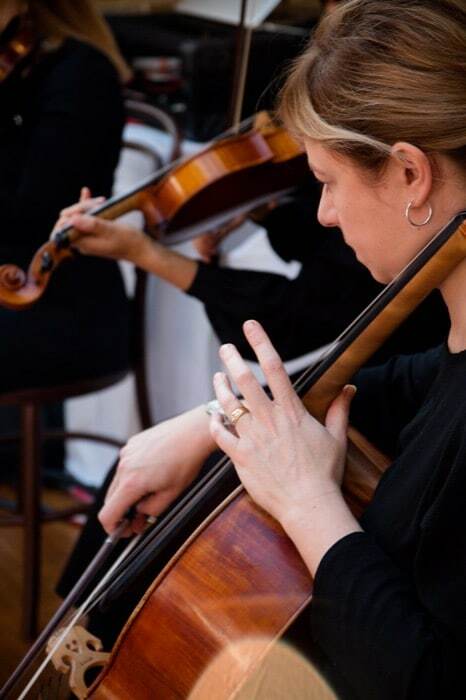 We have over 22 years’ experience performing background music at corporate functions, events and parties. Whether you are having a small intimate gathering or a large scale event, our highly organised, reliable and professional team will add an element of class, elegance and sophistication to your function. We are frequent performers in Adelaide, the Adelaide Hills, McLaren Vale, Victor Harbor, Barossa and Clare Valley regions. 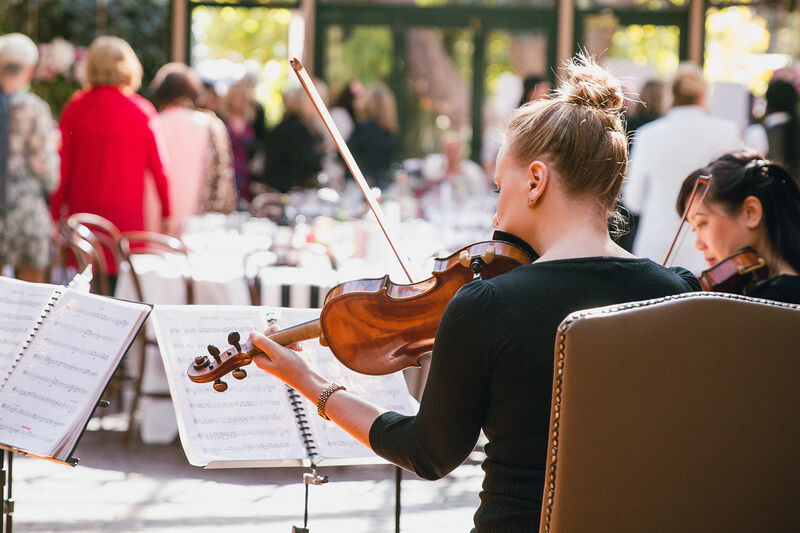 We are the preferred string quartet to many suppliers and businesses within the corporate industry, and proud to be the preferred string quartet and music entertainment to numerous function venues including the Adelaide Oval, Botanic Gardens, Mt Lofty House, Adelaide Town Hall, Adelaide Convention Centre, Ayers House, the InterContinental Hotel and other hotel chains, Serafino Wines and other wineries. Westfield, to name just a few. We are regular performers for Floating Melodies on the Popeye and perform as part of the Adelaide Fringe Festival. In March 2017, we were invited to be an Industry Partner to South Australian Leaders, which is a company focused on inspiring leading companies. 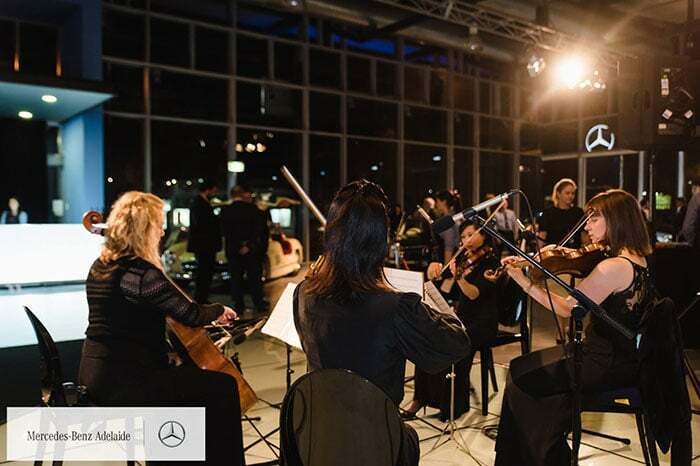 We have an extensive and diverse repertoire from classical to jazz and modern/pop covers which means we can tailor the music to suit the style of your function and create the perfect ambience for any number of guests. See our repertoire for a list of music suggestions, listen to some samples and see some high definition video clips. You may engage us for as long as required. It can be as short as 30 minutes for pre-dinner drinks, to 6 hours or longer for a conference or corporate dinner. Please contact us to book or hire us for your corporate event, party or function. We will be delighted to entertain you.